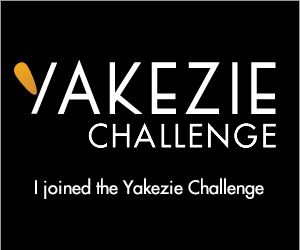 We’re excited to announce we’re joining the Yakezie Challenge — Today! CCRC LifeCast began last year as an extension of our retirement planning. We’re searching for a Continuing Care Retirement Community (CCRC) we can call home. Why CCRCs? CCR communities offer a promise. They promise, regardless of health, you will never need to leave your home community or your spouse. This promise combines aspects of insurance, health and wellness care, hospitality, and senior housing. It’s a financial choice that depends upon the ongoing solvency of the CCRC. And…CCRC resident’s satisfaction vary widely between communities. Everyone looking for the best possible retirement will be looking at the total value equation. The CCRC LifeCast journey is to help you find the best CCRCs in the country and help you avoid the worst. We come to this search with professional training and experience. Dan is a lawyer, experienced investor, and lean startup entrepreneurial coach. Lori is a commercial real estate project manager and MBA with experience in CCRCs. Our parents have moved to CCRCs with happy results. We’ve seen great senior communities that support and extend an engaged life in retirement and want that result for ourselves. As a cautionary tale, we’ve also seen failed communities. Our bulls-eye customers are sandwich generation baby boomers. Sandwiched Boomers are aiding elderly parents in retirement while planning their own retirement. That’s us too! Although our parents may have been reactive or reluctant to downsize and make a move — we can help you be proactive and enjoy the process. Many successful retirees are downsizing early and choosing an active, socially engaged lifestyle. A retirement filled with relationships and service. What we don’t have is experience with blogging! We read and consume the online work product of many others. We see the power to serve a widely flung community of like interests via this wonderful digital medium. So while teaching others about CCRCs, we are learning blogging as we go. To burnish our experience we’ve chosen to join a well-worn path. We’re thrilled to be joining the Yakezie Challenge! WHAT IS THIS YAKEZIE CHALLENGE ANYWAy? The Yakezie Network is a network of personal finance and lifestyle bloggers who are committed to helping their readers lead improved financial lives. Their secondary goal is to help improve the quality of material seen on its network member blogs. Yakezie’s challenge is to increase our Alexa ranking — as a sign of blog success. Alexa assigns a numeric value to websites based on a variety of metrics. Our current Alexa ranking is 8,215,791. That means there are at least 8 million websites with more traffic than our infant blog. Our challenge is to break a big Alexa barrier — We’re challenged to rank under 200,000 by September 2016! There are other required activities. We’ll be posting quality content two-four times a week. And there is mutual help in the form of selflessly promoting the work of other Network members. You can help! Please follow us on Twitter or Facebook, if you’ve not done so already and share your comments/suggestions. We’re looking forward to the following six months with the end goal of becoming a full-fledged member of the Yakezie Network.